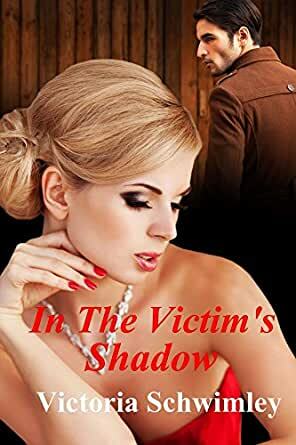 In The Victim's Shadow - Kindle edition by Victoria Schwimley. Mystery, Thriller & Suspense Kindle eBooks @ Amazon.com. On a cold San Francisco evening, Amber and Katherine Winters, a mother and daughter modeling team, stop at a corner store after work for some much-needed ice cream. Instead, they are greeted with an action from a desperate man that will put an end to Amber’s life, forever scarring Katherine. When a thief fires a gun, killing the beautiful model as he is trying to flee, the man doesn’t know what to do-except run, leaving five-year old Katherine crying over her dead mother. Twenty-seven years later, Katherine is all grown up and has now become a successful lawyer, with a longing in her heart for something special: a child. Katherine, however, can’t get past the pain of losing her mother, knowing the killer is still at large. When Katherine realizes someone is stalking her, she begins to fear it might have something to do with her mother’s death. She turns to her dearest friend, putting his life in danger. Victoria resides in the Sacramento region. 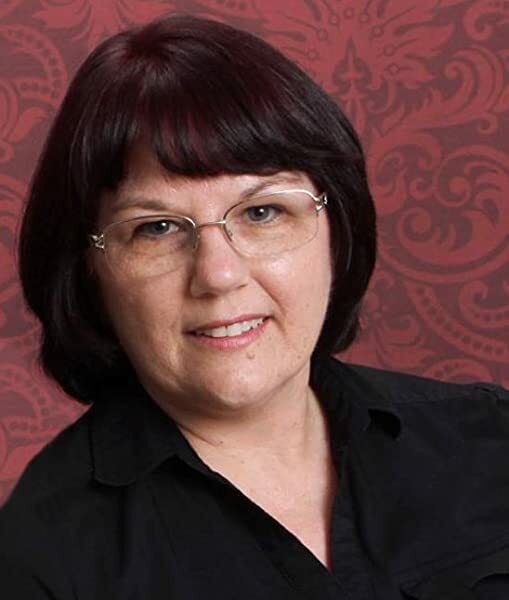 She is the author of Coveting Love, Confronting Truths (The Jessica Crawford series), Capturing Faith, Twisted Faith (The Faith series), and Crime Solver’s Detective Agency, her first book for younger readers. All books are available through Amazon and through most major online retailers. All books are also available in Kindle edition through Amazon, and all other eBook versions through Smashwords. Visit her website at www.victoriaschwimley.com. Capturing Faith is available as an audiobook through Audible and ITunes. Amber Winters was a kind and caring person. As a ballerina, she captivated audiences; however, when she became pregnant with Katherine, she left the world of ballet to raise her daughter and entered the world of modeling with Katherine in tow. One evening, after a modeling session with a five year old Katherine, the two stopped by a convenience store on their way home for some ice cream. Caught up in a conversation with Katherine, Amber did not realize that the store was being robbed and collided with the robber as he was hurrying away from the store. The robber pulled a gun out and shot Amber in front of Katherine and fled the scene. Schwimley did an excellent job of developing the characters, and I really enjoyed day-to-day activities that made the story's setting realistic. The relationships in the book came across as genuine, and I really enjoyed reading the exchanges between the various characters in the story. I do not read romance books often, but I did enjoy Schwimley's writing; the romance scenes were realistic rather than dramatic and overwrought, and the characters were intelligent and charming. If you like authors like Nora Roberts or Sandra Brown, I recommend that you give Victoria Schwimley and In The Victim's Shadow a shot. The female characters are intelligent, strong, and sometimes misguided; there is enough suspense to make you want to keep reading to find out what happens next, and enough romance to help keep you warm on a cold night. In the Victim’s Shadow turns out to be more on the romantic side of romantic suspense which is not my favorite genre. In spite of this, Schwimley managed to keep me reading until the end, no small feat considering the book weighs in at over 400 pages. It is the story of Katherine, a beautiful and wealthy lawyer living in the penthouse of a tower downtown San Francisco. Through the book, she reaches many milestones in her life, but she is always under threat from Chad Simon, the son of the man who killed her mother. Chad feels his childhood was robbed by Katherine and her father, suffice it to say Chad is disturbed. The book has a ton of fairly shallow subplots which add to the length. Most involve memorable characters, such as Beth, the single-mother assistant with the unsavory ex-con for a boyfriend. My biggest complaint with the book is it could have been appreciably shorter, by a third to half I’d say. The web of subplots is largely unnecessary, save for one or two for illustration. On the other hand, if you’re a fan of the genre, the length of the book might be a bonus. Where I saw many scenes of unnecessary and mundane acts, like petting the cat, taking a bath, making breakfast, on the other hand a fan of romantic suspense might see sequences of deepening into the character’s interesting lives. Another qualm I had is head-hopping. From one paragraph to the next it is not certain what point-of-view will be used. To be honest, though, the effect wasn’t that unpleasant or unsettling. Finally, my biggest potential pet peeve was unrealized: the editing (apart from length) is impeccable. There are almost no niggling errors in the typography or vocabulary to pop you out of the story. Thus, readability combined with what I suspect is a good conformation to the genre render this a four-star read. If you’re a fan of romantic suspense heavy on the romance, don’t hesitate. Wow! I didn't expect such tension. This was a magnificent read that had me sitting on the edge of my chair. A girl has everything she could possibly want. Riches, career, loyal friends, beauty, a loving father, and yet there is a big hole in her life. Her mother was killed in front of her when she was a small child. This is bad enough, but now the consequences of the death are coming back to haunt her in a terrible way. Love the build up and how this pans out. The characters are well developed and believable. The plot and subplots are very entertaining and engaging, and many nights, in lieu of sleep, I stayed up reading this book. I adored the friendship between Katherine and John that blossomed into romance so sweetly. I enjoyed the bond between Katherine and her assistant Beth. And the warm relationship between Katherine and her father melted my heart. The threat of the mysterious and disturbed Chad Simon made me fearful for Katherine's safety and well-being. And I cringed at his every attempt to get closer to her. My heart also ached for Beth and Jack, and I so wanted him to be the husband and father that she and Timmy deserved. In the Victim's Shadow has all the elements necessary for a great romantic suspense novel. I highly recommend it to fans of this genre. A page turner that keeps you interested until the very last word!